Fiddlehead Foods is an eco-friendly personal chef service based in Madison, Wisconsin. We believe what’s good for our health is also good for the earth. With that in mind, our menus are created using seasonal, local, and organic ingredients sourced from the Madison farmer’s market. Whether you’re vegetarian, heart-health conscious, gluten-free, or simply looking to add more nutritious foods into your diet, Fiddlehead Foods can create a menu that will fit your specific needs. We take care of all the shopping, cooking and cleaning. In addition to personal cooking, Fiddlehead Foods offers private cooking classes and pantry makeovers to help you build the foundation for a healthy diet at home. To learn more about these services, please click here. 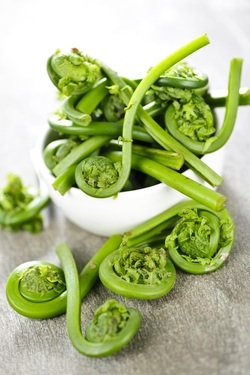 Fiddlehead Foods proudly serves the greater Madison, Wisconsin area.